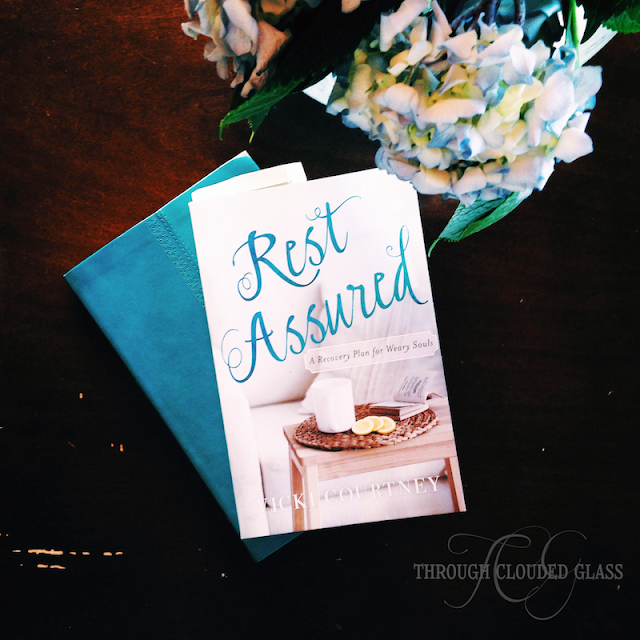 I was looking forward to reading Rest Assured by Vicki Courtney because I know that being too busy is a big problem in our culture, and for me personally. I did a Bible study with my church last summer about rest and really felt convicted that I needed to cut back and make more time to truly serve my family well and have more time to give to the Lord! I was hopeful that this book would be useful as I continue in this journey of finding a good balance. In many ways this book was encouraging and helpful, but there were also several things that bothered me. I'm just going to get the negatives out of the way first. A couple arguments that the author made rubbed me the wrong way. She also says that busyness "is not a scheduling problem, it's a sin problem." While this may certainly be true for many of us, I don't think it's fair to accuse everyone who is busy of sinning. Some seasons truly are busier than others, and not necessarily because we make it that way, but because of legitimate reasons. Being busy by itself doesn't qualify as a sin. It's the heart attitude that determines whether busyness is a "sin problem", and that will vary by person and situation. Some busyness might be sinful if you are making busyness your "god" or not making time for the Lord - but I think the author went too far in saying all busyness is sin. I don't think that's true, and I can't think of a verse to support that argument either. In Chapter 2 she talks about "The Exhausting Pursuit Of Happiness". While I think her point - that joy, not happiness, should be the goal - is valid, I did not like the opening to this chapter. Courtney says that the founding fathers of America started a rat race by assuming that "personal happiness is the highest reward this life can offer". They did no such thing. The founding fathers were not saying that happiness is the ultimate goal, they were saying that no government should interfere with a person's right to pursue their own personal happiness (in a way that doesn't harm others). It was an argument against dictatorship. I don't think it's fair or accurate to attribute responsibility for "the rat race" to America's founders. I didn't love the chapter that encourages solitude because I found it confusing. First the author suggests that we need some time of solitude to just purely rest, without using it for prayer or Bible study, but the rest of the chapter was talking about listening for God's voice in the solitude. So which is it? Is the author saying we should use solitude for spiritual growth or not? She also shares a story of someone going on a solitary retreat with nothing but a notebook, saying he didn't even bring a Bible so that he could be still in a "listening posture" before God. I don't agree that leaving your Bible at home would be helpful or good. We hear from God largely through reading His Word, and it almost seemed she was saying the Bible could be a distraction from hearing God. This is misleading and untrue. If we want to hear from God accurately, we need His written Word in our hands and hearts! I also found the solitude chapter highly impractical. 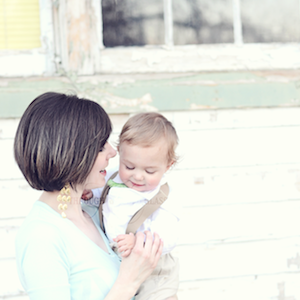 It may be easy for the author to have times of solitude since she is an empty-nester, but reading this chapter made me think she has forgotten what it is really like having young children at home. I couldn't relate to this chapter because I didn't feel like it was written for my season. This book wasn't all negative to me. I very much appreciated the chapters that addressed social media and worry. Needless worries and social media keep our minds much more busy than they need to be, and I thought the author made good points about stepping back and giving our minds space to be refreshed. This was exactly the kind of thing that I as looking for when I started this book. I also know that when I get busy, the first thing that is dropped is my time with the Lord, and I hate that. The chapter on prioritizing our relationship with the Lord hit home for me and gave me some encouragement! I thought that Courtney got this chapter exactly right. The length of the "negative section" of this review is misleading, because most of the book I found helpful and thought-provoking. I needed to explain a few of the things that I did not like, but the negative aspects were a small portion of the book as a whole. I do think that people in the same season as the author would probably get more out of this book than I did. Overall, even though I didn't agree with the author's approach on every subject, she succeeded in making me think, which can only ever be a good thing.